Good news for all the aspirants preparing for Uttarakhand Competitive exams. 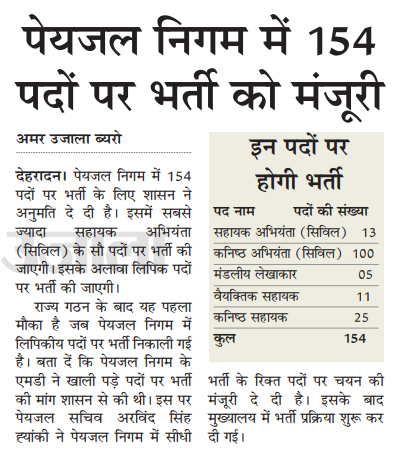 Government has approved 154 posts in the Uttarakhand Peyjal Nigam. Most of them will be recruited in 100 posts of Junior Engineer (civil). Along with appointment of the clerk, junior assistant, Assistant Engineer and other posts will also be made. After state formation this is the first time when recruitment of clerical posts in the Corporation has been taken up. The MD of the Uttarakhand Peyjal Nigam had demanded the appointment on vacant posts from the Uttarakhand Government. Arvind Singh Hyanki, Secretary Peyjal Nigam, has approved the selection of direct recruitment vacancies in the Peyjal Nigam. After this, the recruitment process has started in the headquarters. 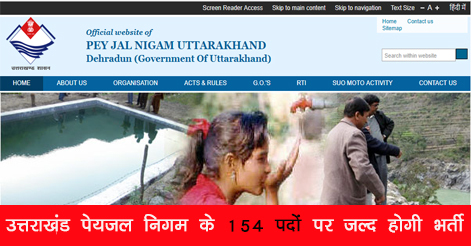 Help us to improve this article/job posting "154 post to be filled in Uttarakhand Peyjal Nigam". We would be glad if you can comment below and provide your valuable suggestions and feedback. If this page have any wrong information/list or out of context content, then you can report us as well. 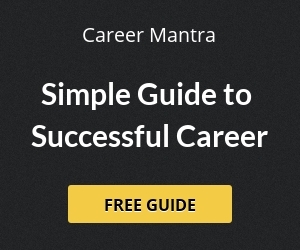 how and when we are supposed to apply for the particular job. Sir please tell full detail .. When will application filing for Pay jal recruitment be start? Sir I’ve Computer science 3 year PG Diploma. Is there any post available for me ??? Respected sir whenever will opening in such kind of department kindly inform by mail or SMS. And also send with full details. Please send me the full procedure of how to apply and eligibility required for each post.. When will be the registration starts for these vacancies and what’s the last date to apply…? sir, when we can apply for the post of je / AE?? and plz give information about the last date of the form submission. sir,how can i apply?????????? Sir,plz give the full job description……. When will be the registration starts for JE vacancies and what’s the last date to apply…? Sir, plz Give us full information about 154 post , when will d registeration start? How can we apply and what is eligibility criteria for this post. i saw all website of uttarakhand jalnigam but not found any vacancy there. Sar…..notifications kb tak upload hoga…..junior engg ka sar…. Sar i need job ….final notifications kb upload hoga…. Please I am worked in office line i searching to government jjob in uttrakhand distt.Almora. Please I am worked in office line i searching to government JOB in uttrakhand distt.Almora. sir……form kab se fill honge…..